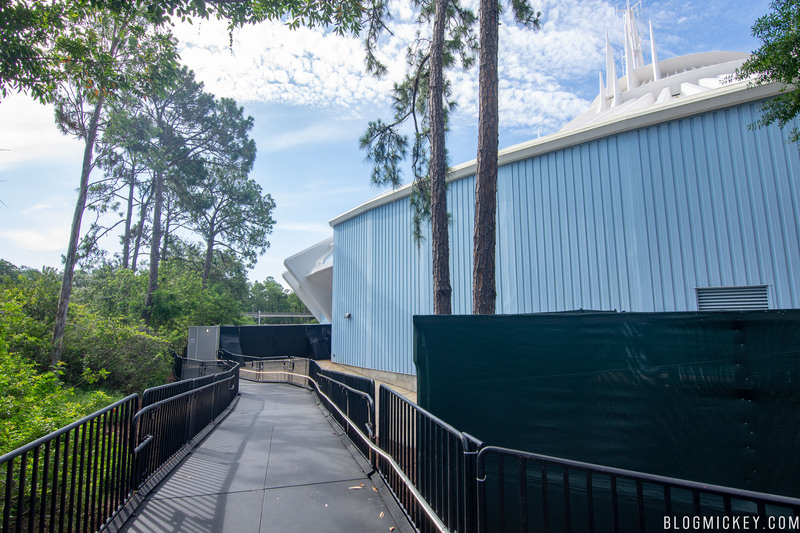 A new exit is now in use at Space Mountain. 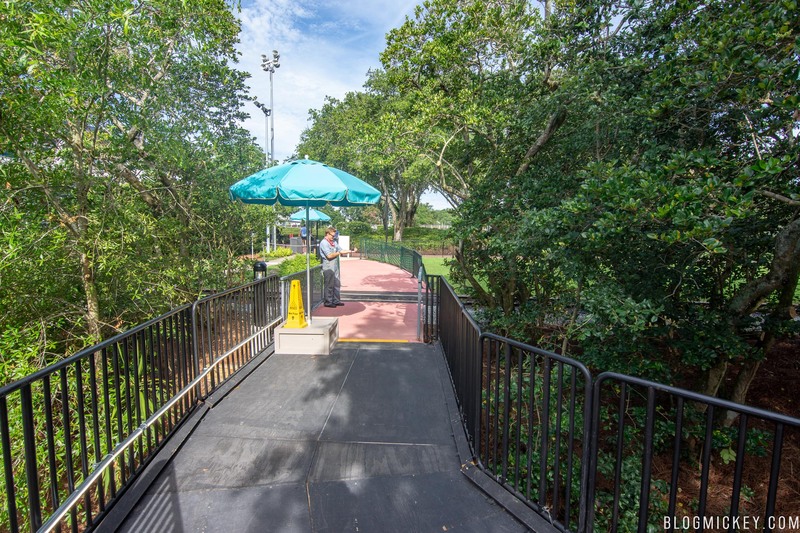 Due to ongoing issues with the moving walkway, Disney has decided to use a backstage exit while work on the moving walkway is underway. 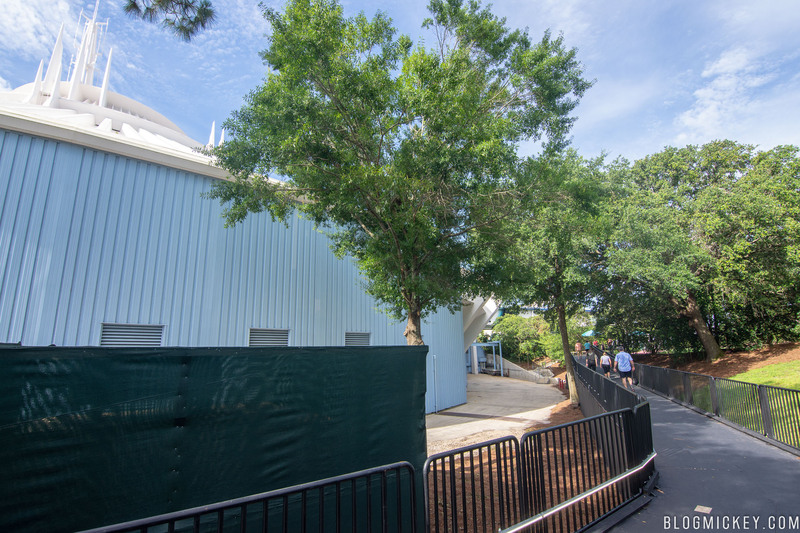 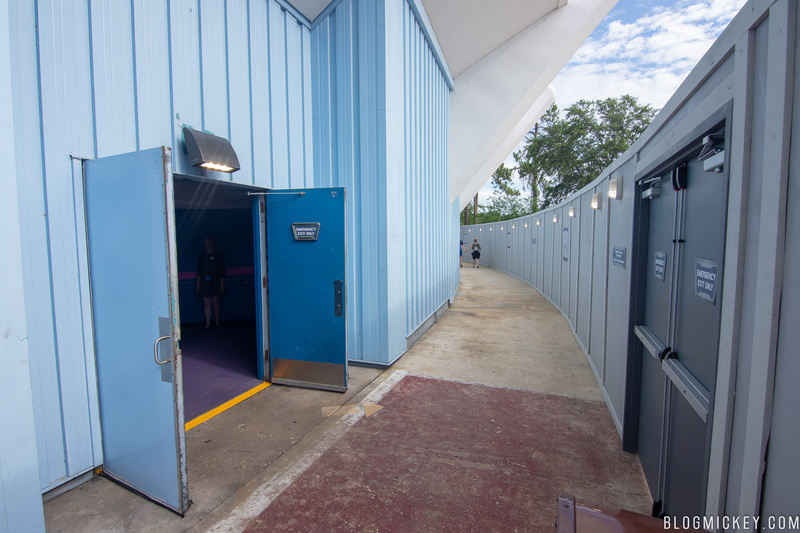 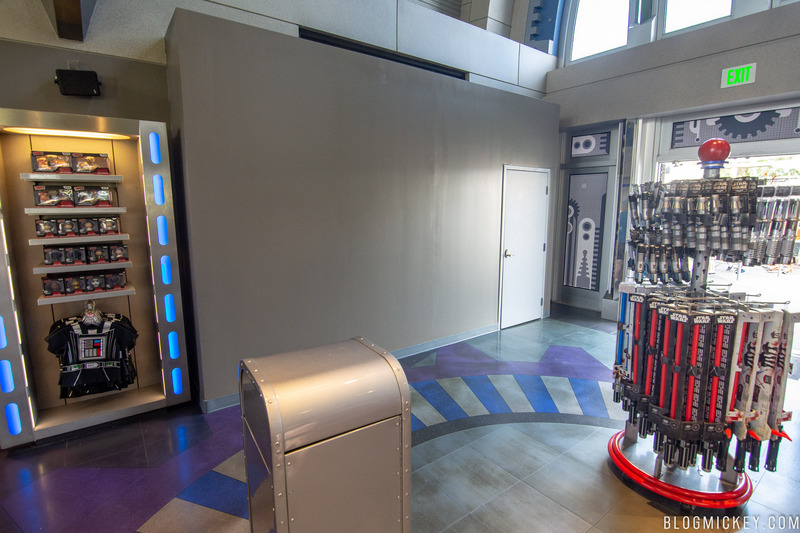 The new exit uses what was previously an emergency exit, taking guests into a formerly backstage area to the east of Space Mountain. 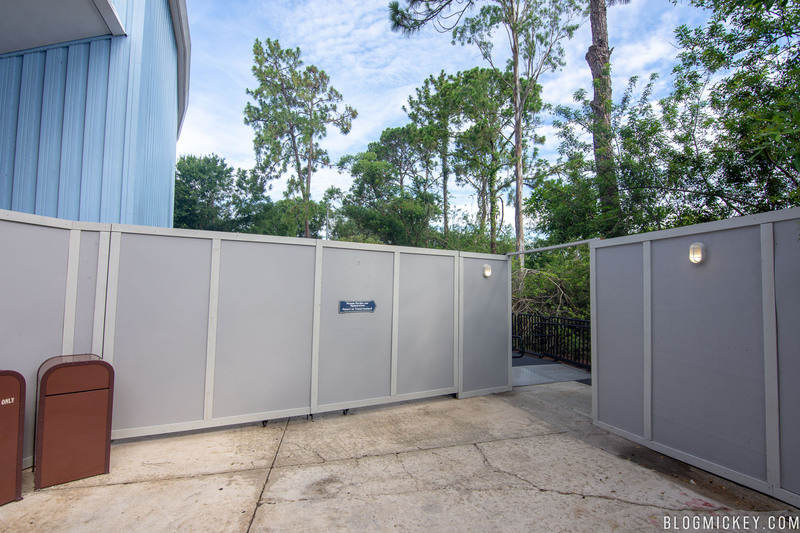 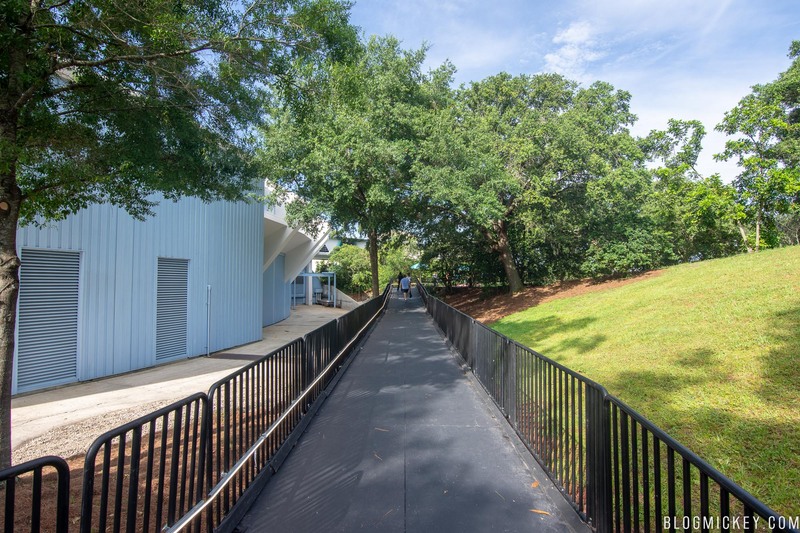 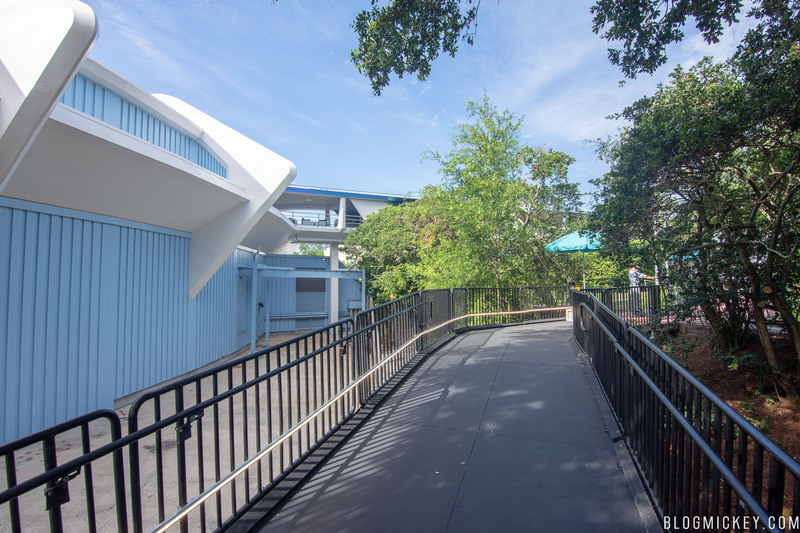 The exit pathway is lined with walls due to nearby construction on the TRON Roller Coaster. 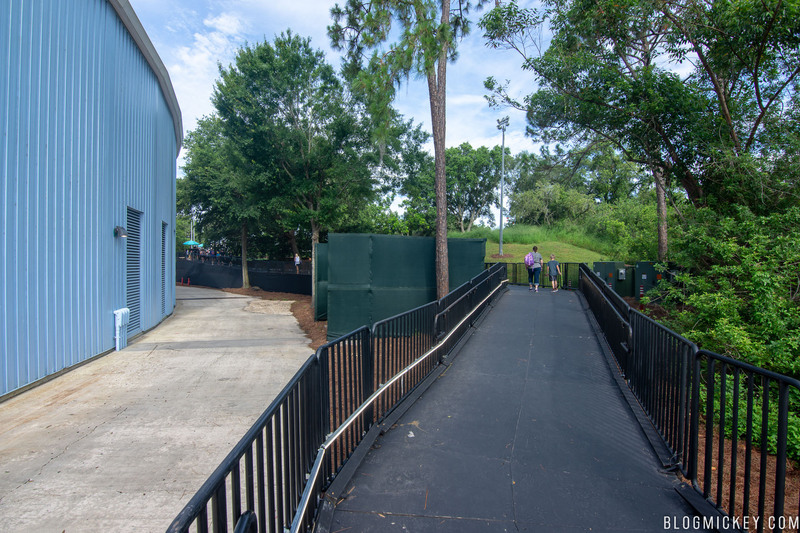 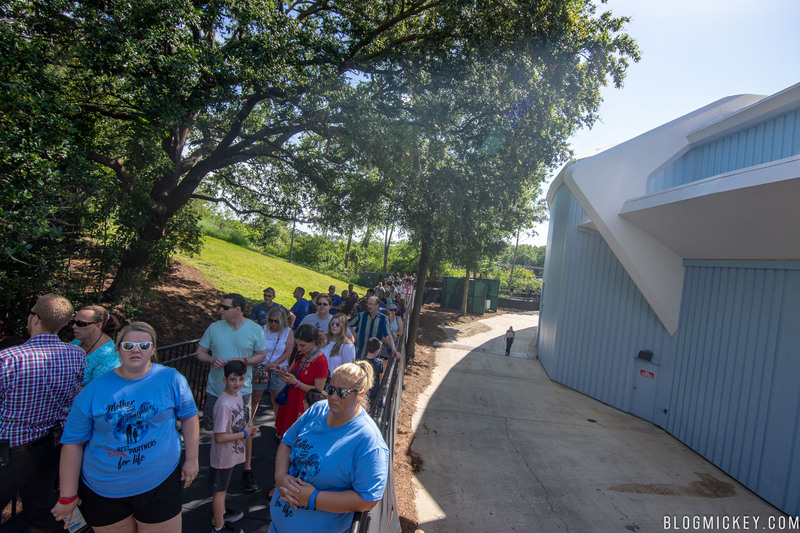 We were on hand this morning to take photos and video of the new exit. 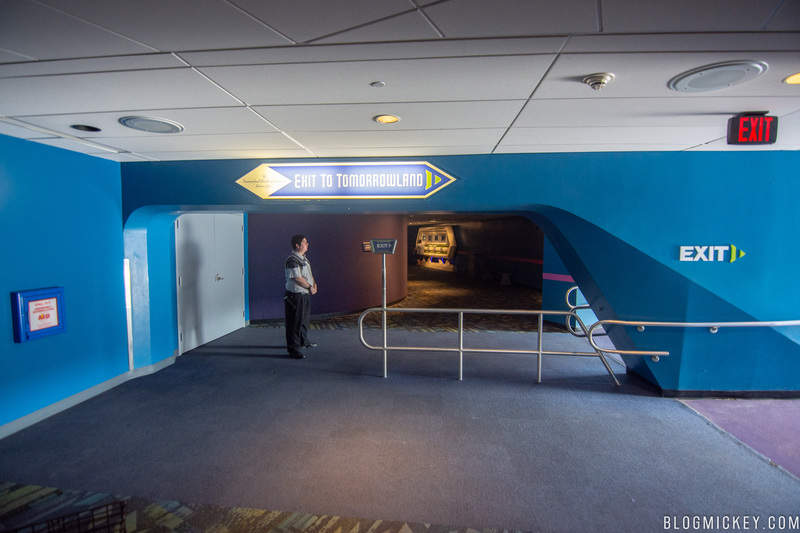 The former moving walkway is behind the doors to the left in the first photo. 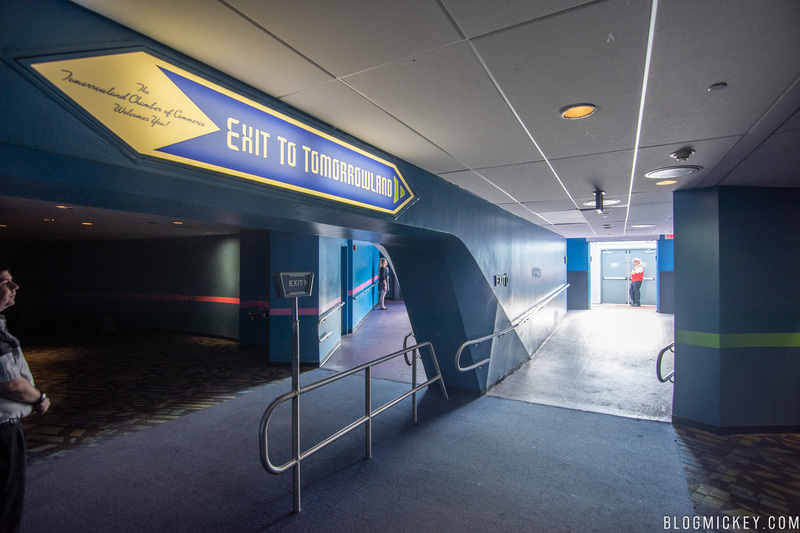 The new exit uses what used to be an emergency exit. 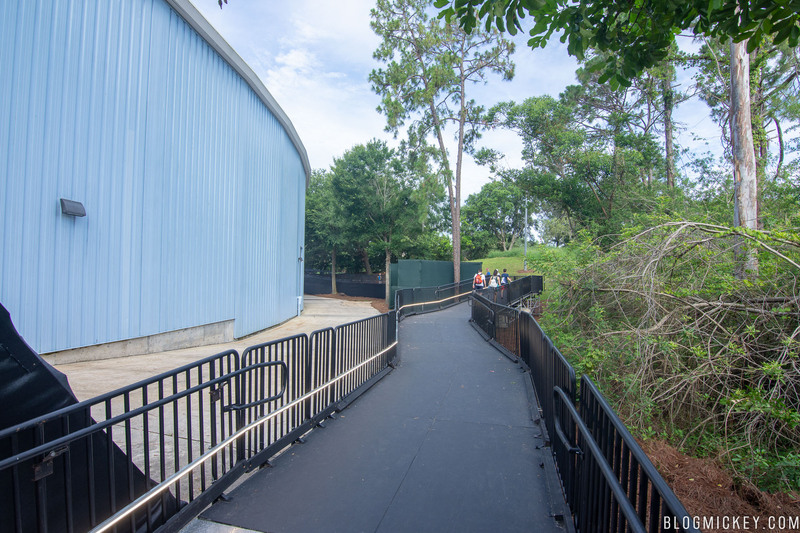 Here’s a look at the pathway. 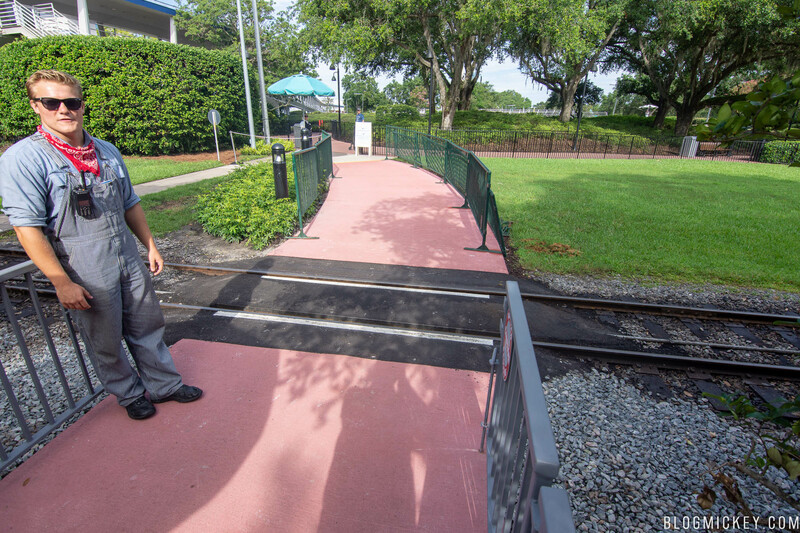 Guests have to cross the railroad tracks to get back to Tomorrowland, and the crosswalk is manned by Cast Members. 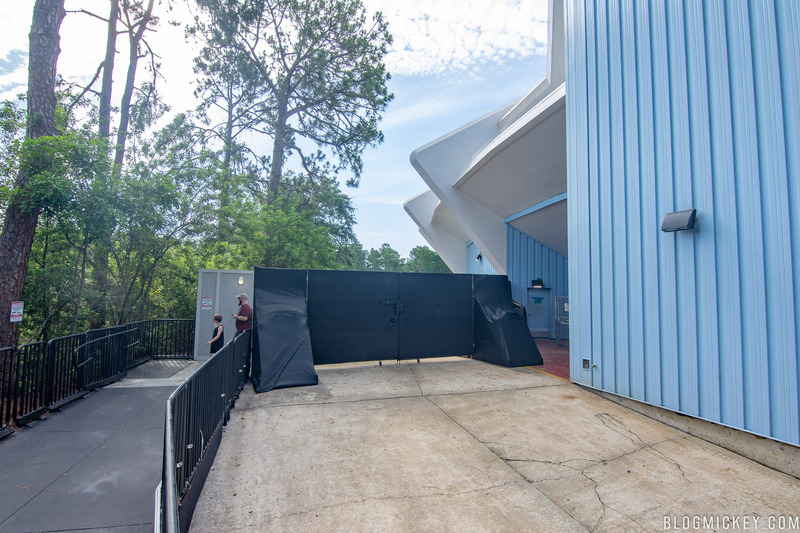 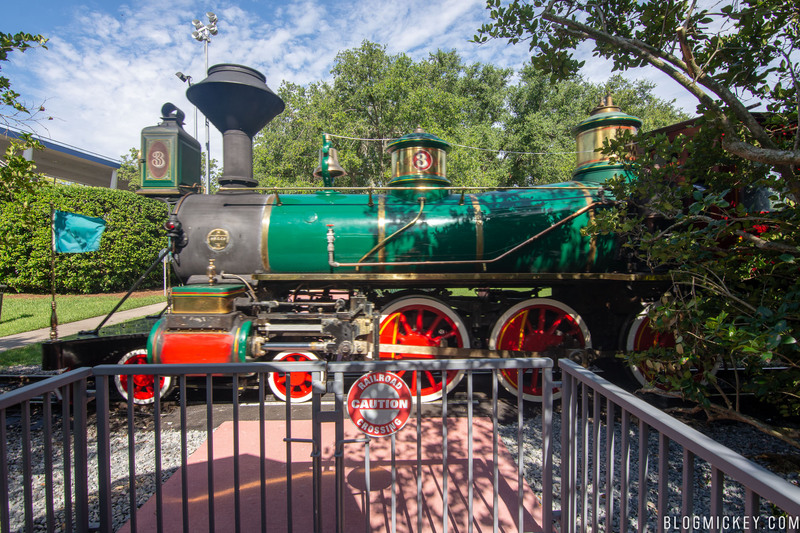 When a train is ready to leave the Fantasyland station, Cast close the gates until the train clears Tomorrowland. 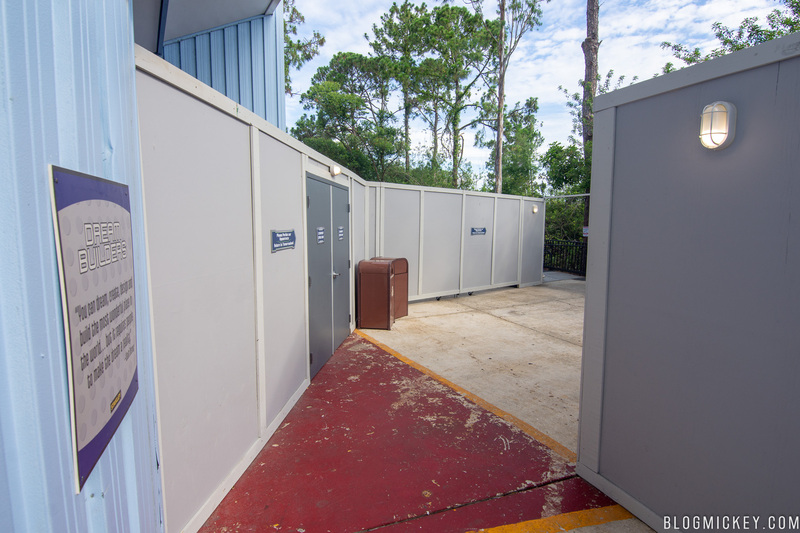 Understandably, this leads to a bit of congestion along the exit ramp. 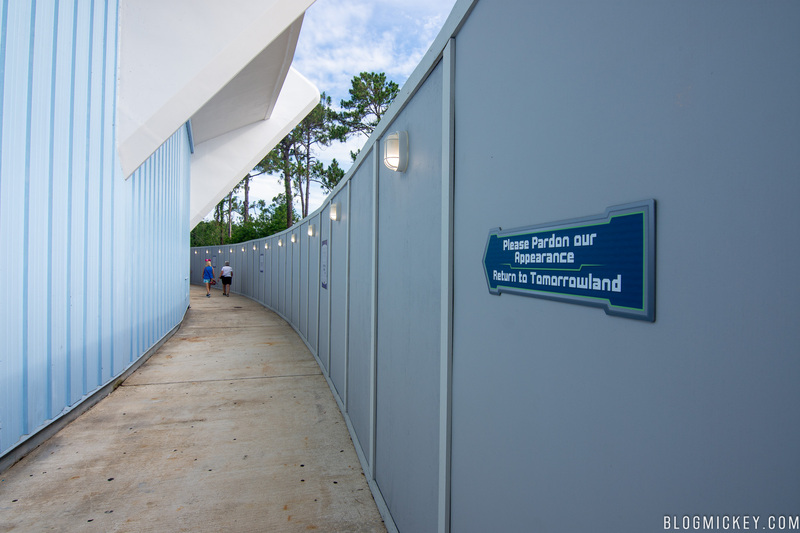 The area where the moving walkway meets the gift shop is also walled off. 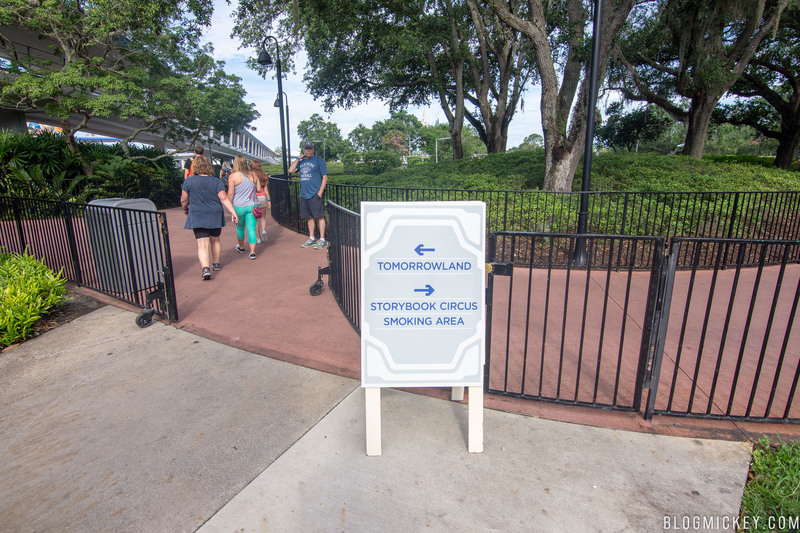 There is no timeline for the work.